Several Chinese automakers planning to expand production into Canada have put their plans on hold over the Vancouver arrest of Chinese telecom giant Huawei’s CFO, says Flavio Volpe, president of the Canadian Automotive Parts Manufacturers’ Association. Several Chinese automakers planning to expand production into Canada have put their plans on hold over the Vancouver arrest of Chinese telecom giant Huawei's CFO, says Flavio Volpe, president of the Automotive Parts Manufacturers' Association. "Those companies are saying, 'Look, while we're still interested of course, North America is a target market for our goods ... right now, we're going to put this on pause,'" Volpe told CBC News. Volpe said that over the last several months, the APMA has hosted delegations from two major Chinese automakers and was planning on hosting another firm next month. Volpe would not identify the companies by name. Meng Wanzhou was arrested in Vancouver earlier this month under an extradition request from the United States. American prosecutors allege Meng deceived financial institutions into dealing in dirty money through an arrangement which saw Huawei and another company called Skycom doing business in Iran, in contravention of U.S. sanctions against the Islamic republic. Volpe said the arrest has put a chill on the Chinese firms' expansion plans in Canada. "They've explicitly brought that up, and have changed the discussion to, instead of the immediate term, they're talking about, 'Well ... let's settle the uncertainty first and we might be a couple years out,'" he said. Canadians Michael Spavor and Michael Kovrig were detained by China last week over what the Beijing News, a state-run Chinese newspaper, described as suspicion of engagement in activities endangering China's state security — a move widely seen as payback for Meng's arrest. 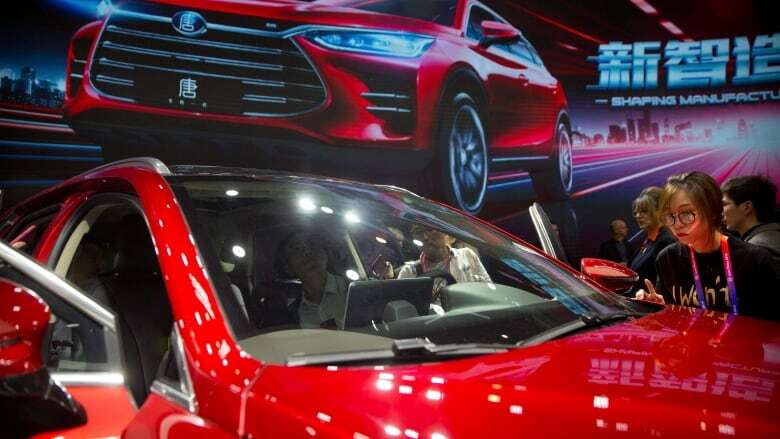 The news of the Chinese automakers pulling back comes as Destination Canada, a Crown corporation that markets Canada as a tourism destination internationally, has called a temporary halt to its efforts to advertise in China. "Destination Canada, along with our co-invested partners, (has) decided to temporarily pause or postpone our current marketing efforts in China," said spokeswoman Emma Slieker. "There are exceptional circumstances when geopolitical issues or tragic events make tourism marketing potentially damaging to the destination's reputation, and has given cause for us to temporarily delay or pause marketing activities abroad." 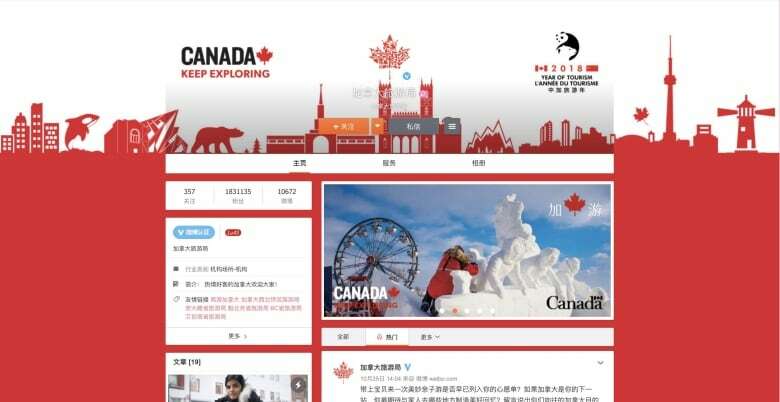 The Canada-China Year of Tourism 2018 was developed as a partnership to promote travel between the two countries. Tourism Minister Mélanie Joly had planned to be in Beijing for the closing ceremony, set for Dec. 17 to 20, but the government called off her trip last week. Lynette Ong, an associate professor in the University of Toronto's department of political science and Asian Institute, said that a two-year delay on Chinese investment in Canada is probably a "worst case scenario" and that a six month chill is more likely. "I think the most serious consequences should be seen in the next three months or so — that is, when Meng's extradition trial is due in February," Ong said. "The next three months will be absolutely critical for Canada-China relations." Volpe said that Canadian auto parts makers were selling about $3 billion a year in product to the General Motors plant in Oshawa. Now that the automaker has decided to close that facility, the auto parts industry in Canada needs a new customer. "An investment by a Chinese automaker would replace that capacity," he said. "These opportunities run at the same scale as the ones that decide to leave." The APMA president said there are only limited number of automakers around the world with the ability to replace the Oshawa facility — maybe five or six at the most. Luring Chinese manufacturers to Canada has become much more challenging, he said. "We're doing a lot of work to express that, on a 20-year investment basis, the Chinese can't beat being in Ontario," he said. "But ... the Americans have put us in a very tough spot here. "There's an interplay between the two biggest superpowers. It's maybe an emerging cold war of sorts. And the Americans, of course, know that we are a rule of law country, and they've put us between the unstoppable force and the immovable object." Volpe said that the U.S. typically sought international trade expansion in the past, but U.S. President Donald Trump's administration has instead been forcing Canada to choose between the rest of the world and the American market. "We're not stupid — 75 per cent of the opportunity will always be tied geographically to the Americans, and I think our industry has done very well serving the American market," he said. In the meantime, Ong said, Canada should avoid making drastic moves or acting out of panic. "If the Chinese authorities were to arrest a third Canadian, then I would start to panic," she said. Ong said she expects to see the dispute resolved in the next six months, allowing business and trade to get back on track. "I say so because I think there's also huge collateral damage on behalf of the Chinese authorities," she said. "There's costs on their legitimacy, costs on their reputation as an international trading power, just costs on the Chinese government as a whole. The longer they hold the two Canadians without any fair trial, without any fair charges, the greater the cost it is on their reputation."